With doors and windows that are as energy-smart as they are beautiful, Western Window Systems makes prioritizing energy efficiency a breeze. 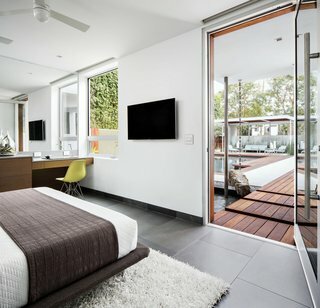 Visually stunning windows and doors are a cornerstone of thoughtful modern design, and they can dramatically change the way a home appears from the outside – as well as how it is experienced on the inside. 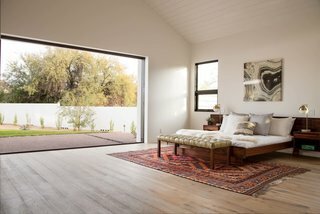 Beyond aesthetics, choosing door and window products that are functionally efficient is just as important, so that lasting benefits can be enjoyed for years to come. In addition to ultra-contemporary styling, Western Window Systems boasts recognized energy efficiency and sustainability standards. Modern windows, often aluminum, are not always energy efficient, despite frequent assumption. Aluminum, by nature, is a strong conductor of heat, so the anatomy of the window itself is critical to determining energy efficiency. The fenestration industry has seen substantial innovation in recent years, which has allowed dramatic advancements in aluminum window and door technology. Before choosing energy efficient windows, it is important to understand what requirements may be dictated by your local state or region. The International Energy Conservation Code (IECC) is the most commonly used energy code for residential buildings. Rather than acting as a comprehensive compliance tool, the code establishes "minimum standards" that have been adopted in many regions across the United States. Beyond this baseline, many states have more stringent local requirements that should be taken into account to ensure compliance in your specific region. This net-zero residence by CitiZen Design Studio features Western Window Systems chosen for energy efficiency. The Series 600 Multi-Slide 90-Degree Door is architecturally eye-catching, meeting at a right angle in the home’s great room, and features dual-paned low-E glass. Once individual requirements are identified, doors and windows that meet unique project needs can be selected. Whether a homeowner, architect, or builder, it is always a delicate balance to select doors and windows that fit a project’s aesthetics, while also standing up to rigorous energy efficiency requirements. Products from Western Window Systems are tested and certified by the National Fenestration Rating Council (NFRC), an organization providing independent and accurate energy performance ratings for door and window products. Many Western Window Systems products with aluminum frames offer the option of thermally broken aluminum for maximum energy efficiency. Being a strong conductor of heat, standard aluminum allows a significant amount of energy to be gained or lost through the frame itself. Western Window Systems adds a thermal break within the aluminum frame, creating a gap between the outside and inside of the home and substantially reducing conduction and increasing energy efficiency. In additional to thermally broken aluminum frames, all Western Window Systems products also feature dual-paned, triple-coated low-E glass. In contrast to standard clear glass, glass with low emissivity (low-E) coatings reflect long-wave infrared radiation away from the surface, rather than absorbing it. This means that heat transfer between outside and inside is minimized, and homes can stay better insulated in any climate. Western Window Systems door systems also include low-profile weatherstripping at points of closure. These tight, durable seals help control humidity and moisture, and minimize air leakage. 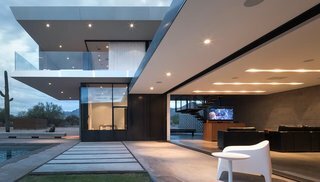 Tucson’s Courtyard House, by HK Associates, features giant floor-to-ceiling fixed windows from Western Window Systems, and Series 600 Sliding Doors. Optional thermally broken aluminum frames increase energy efficiency. Western Window Systems Pivot Doors feature dual-paned low-E glass. 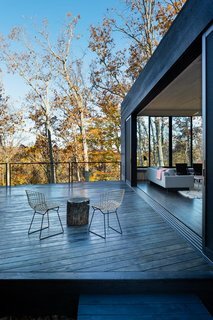 In ARCHITECTUREFIRM’s James River House, the 28-foot-long Series 600 Multi-Slide door is comprised of five 10-foot-tall panels of dual-paned, low-E glass, which helps keep the house warm during Virginia winters. All windows and doors feature thermally broken aluminum. "Western Window Systems," says architect Danny MacNelly, "does a great aluminum product that isn’t very expensive. The details are minimal, clean, and refined." Western Window Systems’ newest family of products, the Series 7000 line, is the company’s strongest and most energy efficient design to date. Beyond offering countless size and customization options, the Series 7000’s high-performance aluminum doors boast low-E, argon-filled dual-pane glass, and a standard 0.30 U-Factor. U-Factor, a recognized rating method by the NFRC, measures the heat from inside a room that can escape. When selecting energy efficient doors and windows, lower U-Factors reflect higher energy performance – the lower the number, the lower the potential for wasted heating expenses. The Series 7600 Multi-Slide Door is Western Window Systems’ most energy efficient design to date. Whether designing a new home, or simply upgrading old windows, choosing energy efficient products with recognized quality and performance will help ensure doors and windows resiliently and beautifully stand the test of time.